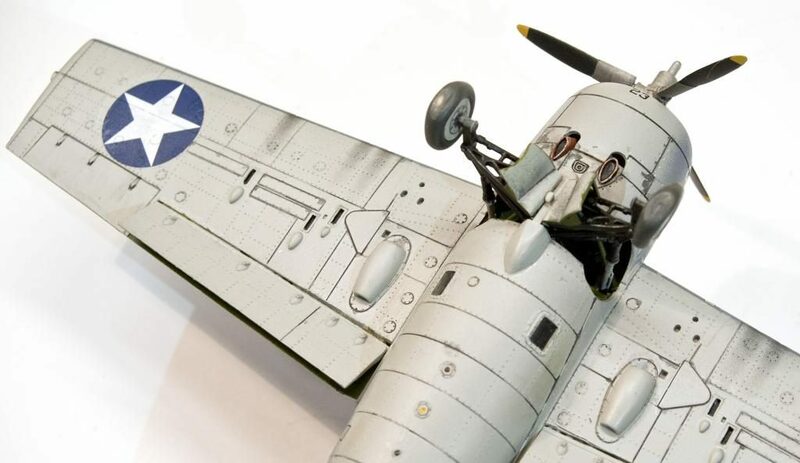 I used the terrific 1:48 scale Tamiya kit to build “White 23”, the F4F-4 that Lt. Cdr. 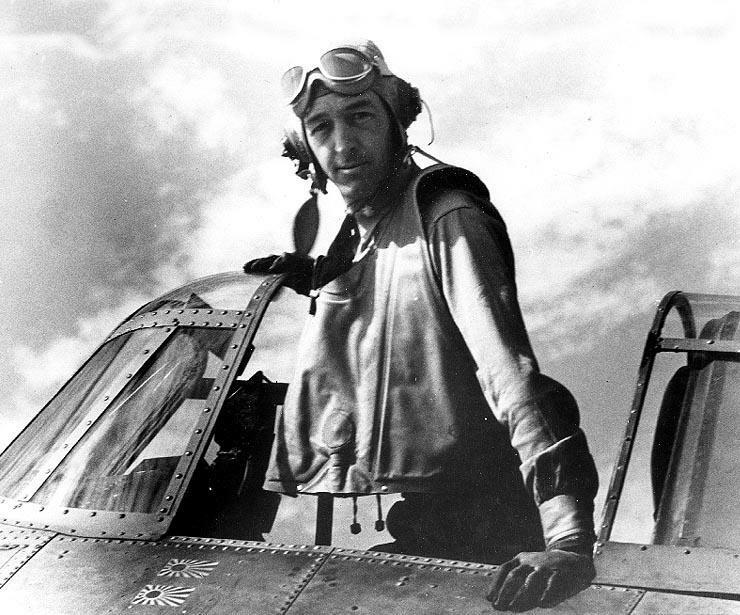 John Thatch flew on June 4, 1942 during the battle of Midway. Thatch flew this plane, BuNo 5093, when he shot down three Zeros in one of the classic fighter combats of World War II. On that mission he also used his “Thatch weave” defensive maneuver for the first time. 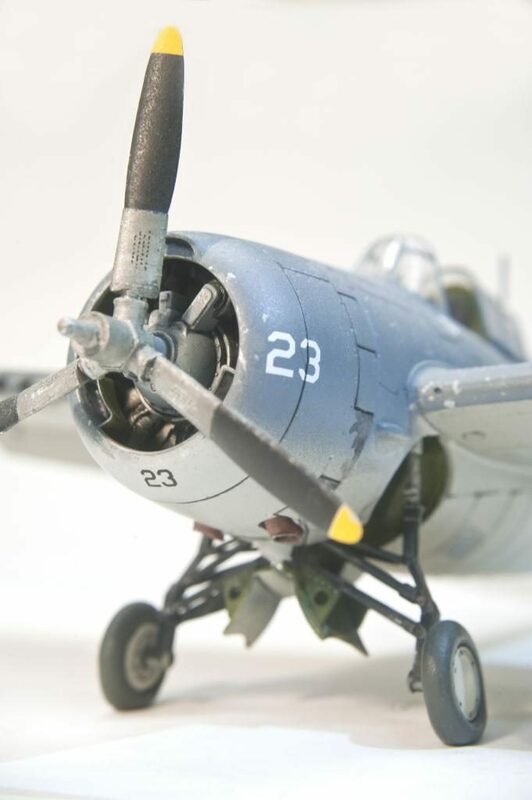 This particular Wildcat has quite a history: before being assigned to Fighting Three and participating in te Midway battle, this plane was assigned fo Fighting Eight attached to USS Hornet, and was aboard for Doolittle’s B-25 raid on Tokyo. Sadly, 5093 was pushed over the side during unsuccessful efforts to save USS Yorktown from sinking after being torpedoed at Midway. The Tamiya Wildcat is the best F4F in 1:48 scale, but the HobbyBoss Wildcats are a close second. I used no filler, as there were no fit issues at all. Careful parts preparation and assembly will result in near-perfect fit. I built the kit almost straight from the box, with just a few corrections and additions. The cockpit is kit stock, with the addition of True Details lap belts and shoulder harneses. Shoulder straps were added to navy aircraft just prior to the Midway battle. 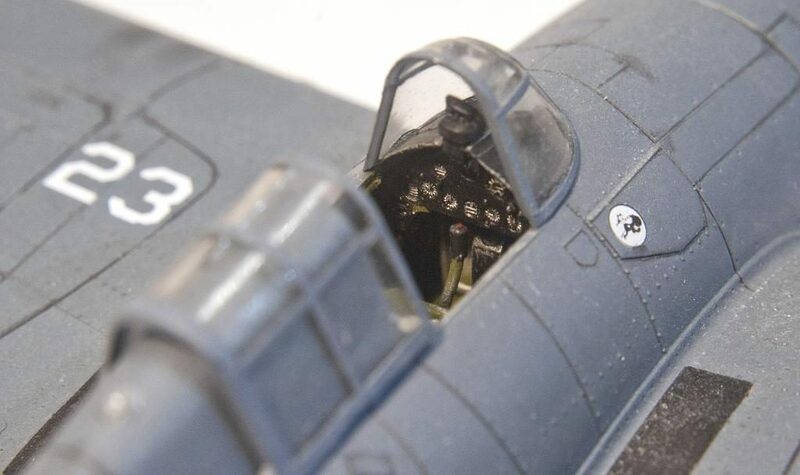 I did correct the kit cockpit floor – the kit piece is solid, when in fact the actual cockpit had no floor, just foot troughs on each side of the stick. I cut away the sides of the kit floor to more accurately represent this. I substituted the kit wheels with True Details resin examples. The tail wheel appears to be the larger pneumatic tire, rather that the smaller solid rubber tire used on carrier-based aircraft, but I didn’t correct it. I cut away and dropped the flaps, and added an antenna wire made from my wife’s hair. I also added a small whip antenna made of thin wire to the fuselage spine behind the cockpit. I used Model Master enamels to paint the USN Blue Gray topside color and the flat gull grey underside color. The decals came from a long-out-of-production Three Guys Replicas sheet, ‘First Team Wildcats’. Nice! Interesting point about the floor, was that so they could see out the bottom portals? Nice choice of decals. Thanks for your comment, Robert! Yes, the cockpit was floorless to enable the pilot to look down on either side and out through the windows on the underside of the fuselage. Hello Drew….A beautiful build for sure, nice job on the weathering as well as the photography. All very well done. Thanks, Jim! I appreciate your kind words. Those Tamiya Wildcats are really nice (I’ve done several) and your build certainly reflects the quality. I agree wholeheartedly with Mr. Sullivan’s assessments. Thanks, Craig! I have a HobbyBoss F4F-3 and FM-2 in the stash, and they look every bit as good as the Tamiya kit. Great modeling Drew Looks terrific! Thanks! The kit was a joy to build, virtually trouble-free. I’ve always thought these aircraft looked odd – like something rushed into production before the engineering/design had been sorted out properly. That said, they proved their worth time and again. Thanks, Rob – the rotund fuselage and narrow-set landing gear does give the plane an ungainly appeaerance. That landing gear had to be cranked up and down by hand, too! That’s a good looking Cat Drew. Nice job. Looks really nice Drew. This has always been a wonderful kit to build, and you’ve done a really nice build here. Great looking Wildcat! Well done. 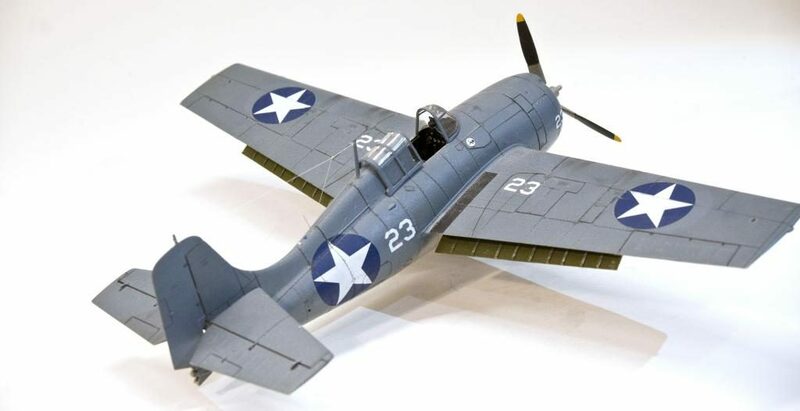 The only aftermarket item the Tamiya F4F-4 really needs is a Squadron/Falcon vacuform canopy to get the right “sit.” Hard to believe this kit is 22 years old. Nice work on an evergreen classic. Thanks, Tom! And you’re right about the canopy. I used the kit-supplied one, and it sits too tall. I need to get a vacformed replacement. Nice build Looks good !! Thanks, Bob! The landing gear was the toughest part of the build.